Islamabad (August 10, 2018): No Parliamentary meeting of PTI Balochistan today, said PTI leader, Fawad Chaudhry. Fawad Chaudhry said in his twitter that there is no meeting of PTI’s Parliamentary party Balochistan today. 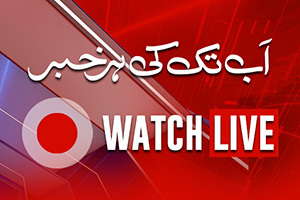 Earlier, news was that Pakistan Tehreek-e-Insaaf’s Parliamentary Party Meeting today in Banigala. Earlier on Thursday, PTI Sindh Parliamentary meeting was held in Islamabad to discuss the prevailing political situation. Ali Zaidi, Firdous Shamim Naqvi, Haleem Adil Shaikh, Khurram Sher Zaman and other leaders and others attended the meeting. 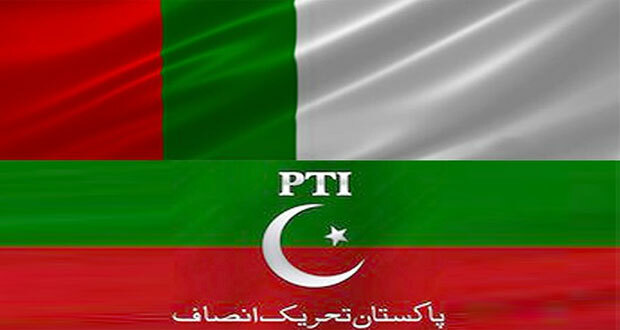 Pakistan Tehreek-e-Insaf (PTI) leader Firdous Shamim was warned by the party chief Imran Khan over making statements against the Muttahida Qaumi Movement-Pakistan. Speaking to media outside Bani Gala, Naqvi that the party’s main agenda right now is to form government wherever they can, while party leader Khurram Zaman said that the most important task right now for them is to “save Sindh from the Pakistan Peoples Party”. Naqvi on Sunday said that the alliance with MQM-P was made due to certain necessities. While addressing a press conference, Naqvi had said that he stood by his accusations levelled against the MQM and the party went into alliance with the MQM because they had not enough party votes to elect Imran Khan as leader of the house in the national assembly. 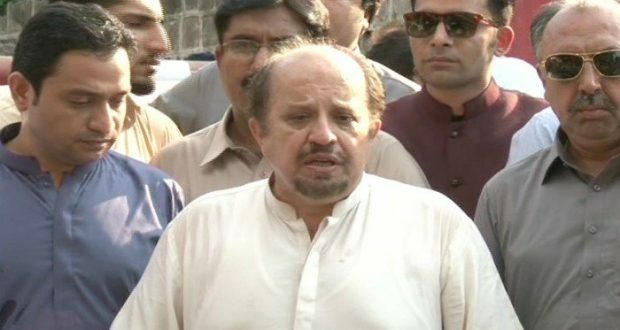 PTI leader Naeemul Haque later said Naqvi’s remarks did not reflect party policy but were, in fact, his own opinion, and did not benefit the party in any way. “The alliance with MQM is a strategy, not a necessity,” Haque added. 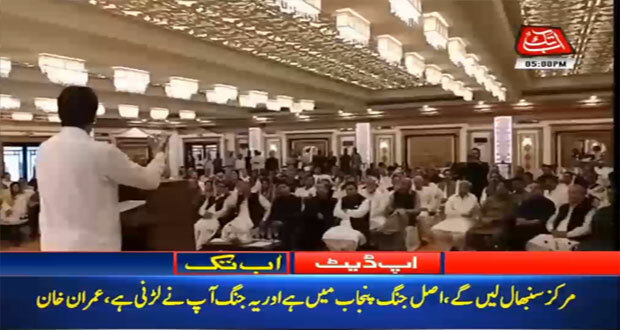 Earlier on Wednesday, Pakistan Tehreek-e-Insaf chairman Imran Khan while addressing PTI’s Punjab Parliamentary Party Meeting said that the start of ‘Naya Pakistan’ will be from Punjab. 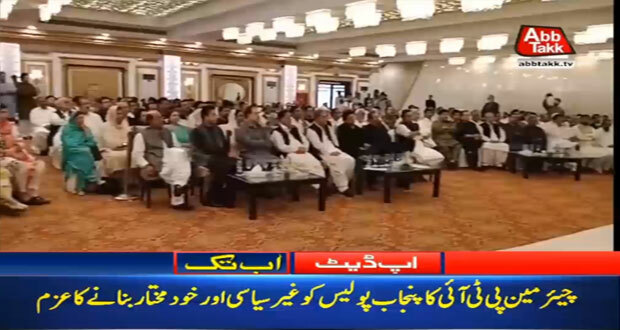 Addressing newly elected members from Punjab in Islamabad this afternoon, he said we will have to adhere to the principle of merit as was done in the state of Madina by the Holy Prophet [PBUH]. 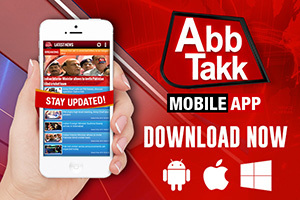 Imran Khan said the real changes in Punjab and we have to fight for people’s rights. He said the ticket awarding process will be further improved. He said work should be started immediately in the sectors, where we are weak. Imran, who is expected to become country’s next premier, shared that Punjab has been facing many challenges. Reiterating his earlier plans, he remarked that the Punjab police will be depoliticised and made autonomous. “We also have to improve schools and hospitals in Punjab. Nation’s money should be spent on improving the lives of people,” he added. With regards to PTI’s nominee for chief minister Punjab, Imran shared that he will put forward the name of a “corruption-free” candidate. “The nominee will have a clean image with not a single corruption charge against him,” the PTI chief said. “You all must support this nominee,” he stressed, adding that his decision will be made on the basis of merit and nation’s benefit. Speaking about the General Election 2018, Imran congratulated his party members on winning a “tough election.” Everyone knows that the real battle was fought in Punjab, he remarked. However, he pointed out that the party needs to work on improving its system of allotting tickets. Before the elections, many party members had protested outside Imran’s house in Bani Gala over the ‘discriminatory’ ticket allotting system. He stressed the need for upholding merit in all sectors. 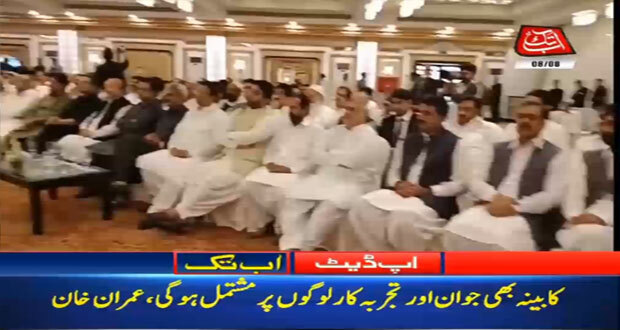 Earlier, the parliamentary party meeting of Pakistan Tehreek-e-Insaf (PTI) Punjab Assembly members was held at a local hotel in Islamabad.